The federal government in the United States uses a progressive income tax system, which means that as you make more money, the percentage of your income that you pay in taxes increases. For example, in a progressive system, the first $10,000 of taxable income may be taxed at 12 percent, the next $20,000 at 18 percent and anything above that at 30 percent. To calculate your federal tax bracket, you need to know how much taxable income you have and the value of your deductions and exemptions. Calculate the sum of your taxable income for the year. This includes wages, salaries, tips, interest income, dividends and other taxable income. Subtract the amount of any adjustments to income that you will claim on your taxes, such as traditional IRA contributions, student loan interest or tuition and fees to find your adjusted gross income. For example, if your total taxable income equals $67,000 and you contributed $3,000 to your traditional IRA, you would subtract $3,000 from $67,000 to get $64,000. Total your itemized deductions, such as mortgage interest, charitable gifts and deductible taxes and compare the total to the value of your standard deduction and select the larger amount. For example, if your itemized deductions total is $4,000 and your standard deduction is $5,700, you would use the value of your standard deduction. Subtract the greater of your itemized deductions or standard deduction from your adjusted gross income. Continuing the example, you would subtract $5,700 from $64,000 to get $58,300. Subtract the value of any exemptions you are eligible to claim from the result from step 4. In this example, if you could only claim yourself and each exemption is worth $3,650, you would subtract $3,650 from $58,300 to find your total taxable income to be $54,650. 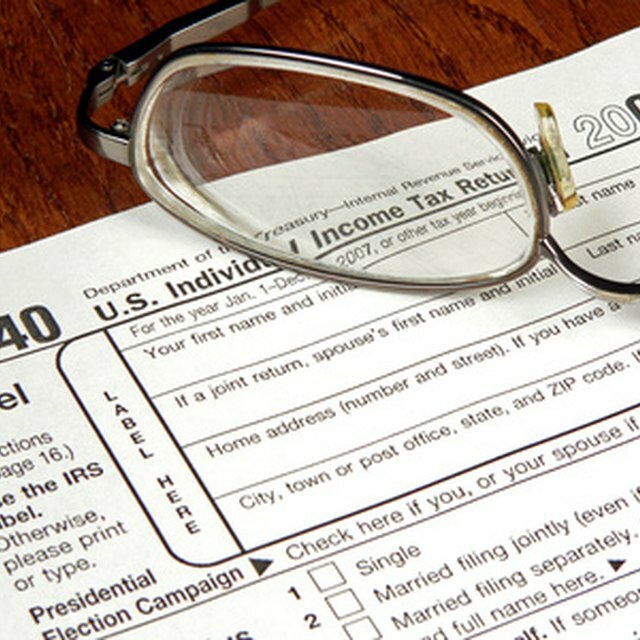 Use the federal income tax table for the current year, available online from the IRS, to determine which income tax bracket you fall into based on your filing status. Finishing the example, if you had a total taxable income of $54,650 for the 2009 tax year and your filing status was single, you would fall into the 25 percent tax bracket. The value of exemptions and the standard deduction can change each year. In addition, certain deductions may be expanded, limited or eliminated.